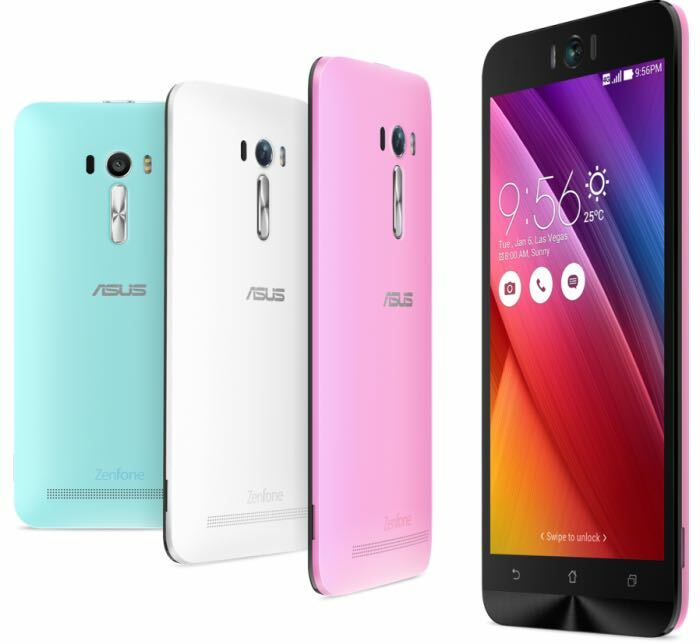 We have already see the new Asus ZenPad Tablets, the Asus ZenWatch 2 and now the company has announced its latest smartphone, the Asus ZenFone Selfie. As the name suggests the Asus ZenFone Selfie is designed for taking Selfies and the device comes with a 13 megapixel camera on the front with an LED Real Tone Flash. The rear camera on the handset is also a 13 megapixel camera with the same flash but this camera also comes with Laser auto focus. The Asus ZenFone Selfie features a 5.5 inch display with a Full HD resolution of 1920 x 1080 pixels and the device is powered by a Qualcomm Snapdragon 615 octa core processor and comes with an Adreno 405 GPU. The handset features a choice of either 2GB or 3GB of RAM and also a choice of either 16GB or 32GB of built in storage, there is also a microSD card slot for expansion which supports up to 64GB cards. The ZenFone Selfie comes with Android Lollipop and it features a 3000 mAh battery, the device will be available in a range of colors which include Pure White, Chic Pink, Aqua Blue/, lacier Gray, Sheer Gold, Glamour Red, as yet there are no details on pricing or a release date.